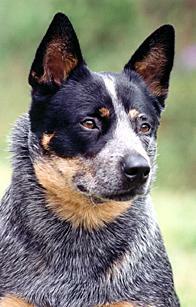 The Australian Cattle Dog breed began evolving in the early 1830s through the need for a dog that could work cattle in Australia's harsh environment. The breed today is the result of many years of selective breeding. 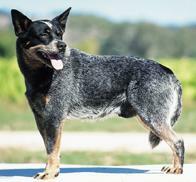 Five breeds of dog have gone into "the making" of the Australian Cattle Dog. Even though the Australian Cattle Dog is a working dog, it does well in a suburban household as long as its exercise requirements (this includes mental stimulation) are met. Obedience training of Australian Cattle Dogs is a must, as their brain needs stimulation of the right sort so that they don't think things up for themselves – such as digging, pulling washing from the clothes-line, pruning trees, landscaping, and jumping fences. 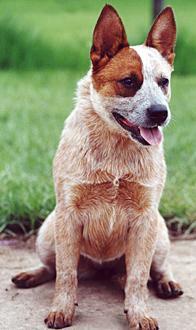 The ideal owner for the Australian Cattle Dog should be someone who likes to have an active dog. While the Australian Cattle Dog absolutely adores children, similar to all breeds of dog it should never be left alone with them unsupervised. 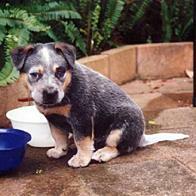 Elderly people might find that the Australian Cattle Dog is a bit of a handful.